NEW MARINE PARK RULES LIMITS DIVERS TO 525 PER DAY. BOOK NOW AND SECURE YOUR PLACE ON-BOARD! 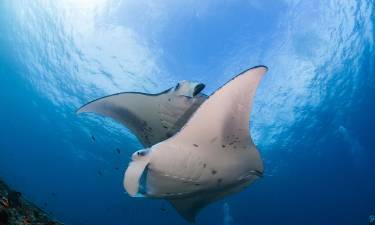 THE MANTA QUEEN FLEET HOLDS ALL NECESSARY PERMITS TO DIVE AT SIMILAN ISLANDS AND RICHELIEU ROCK, 100 % GUARANTEE! Manta Queen 1 and 2 spotted Whaleshark at the Boon Sung Wreck of the coast of Khao Lak. 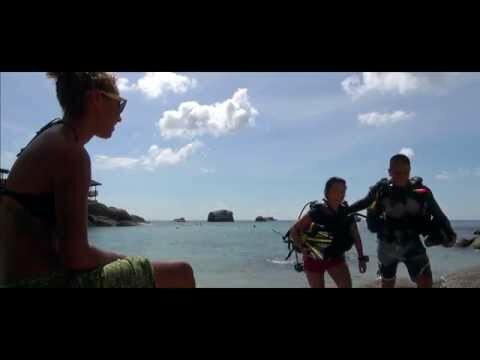 Is a PADI 5 Star IDC Dive Center offering diving trips from Khao Lak, Thailand to the world famous Similan and Surin Island Marine National Parks. Our Manta Queen Fleet cruises 3, 4 and 5 day overnight trips visiting all highlights at both parks, dive sites such as Richelieu Rock, Koh Bon, Koh Tachai, Elephant Head Rock and the Boon Sung Wreck. As an Award Winning PADI 5 Star Dive Center we offer all courses from introductionary dives up to Instructor Level and beyond. PADI - Professional Association of Diving Instructors is the world largest training agency with more than 6000 affiliated dive centers around the globe. 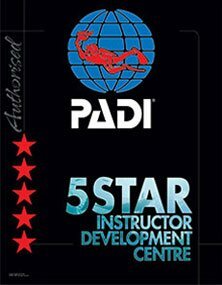 With the best training material available on the market and the most sophisticated instructor training courses PADI has achieved elite status in diving training. Get your PADI or continue your adventure with one or more of the many continue education courses we offer a board our fleet. Want to experience some of Southeast Asia’s most amazing scuba diving? Thailand’s Khao Lak Scuba Adventures is your ultimate choice. We are a PADI 5 Star IDC Dive Center that offers Thailand scuba diving trips from Khao Lak, Thailand to the world famous Similan and Surin Island Marine National Parks. We offer a range of liveaboard Thailand cruises to provide you the best diving experiences. 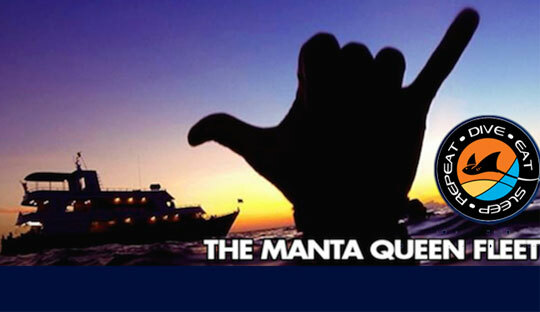 With our Manta Queen Fleet cruises, you can choose between 3, 4 and 5 day overnight trips. All of these provide you a unique opportunity to visit all the highlights at both parks, and dive sites such as Richelieu Rock, Koh Bon, Koh Tachai, Elephant Head Rock and the Boon Sung Wreck. If your time does not permit an overnight trip, we offer daily trips to Similan Islands and several times a week trips to Richelieu Rock, Koh Bon and Koh Tachai. As an Award Winning PADI 5 Star Dive Center, we offer a range of scuba diving courses and Khao Lak diving experiences. From our introductory dives, all the way up to Instructor Level, our PADI dive courses, PADI open water diver certification and Similan Island diving experiences are sure to leave you with exceptional training and plenty of good memories. WHY KHAO LAK SCUBA ADVENTURES Founded in 2003, Khao Lak Scuba Adventures is today an Award Winning PADI 5 Star Instructor Development Center. Since we first opened our doors, we have completed more than 3,500 liveaboard cruises to the local marine parks, creating a countless number of memorable Surin and Similan diving experiences for our valued divers. If you are looking for safety, professionalism, and world-class diving instruction, Khao Lak Scuba Adventures is a great choice. Without a doubt, we employ some of the most experienced PADI dive staff and boat crews. And our staff of 60 multilingual PADI Dive Professionals speak all major Western languages, including French, Spanish, German, Portuguese and more. We also have staff that speak many Asian languages such as Chinese and Japanese. To ensure your safety, all our divers are provided with annually maintained dive equipment from one of the largest and most trusted dive equipment producers worldwide: ScubaPro. We also want to ensure you have sanitary equipment that is regularly tested. That’s why our in-house technicians clean and review all gear after use before it is handed out again. What’s more, Khao Lak Scuba Adventures was awarded with the PADI´s "Outstanding Contribution to Diver Training" Award, which is a testament to our quality, safety and outstanding courses we offer. If you want the best in diving education, you have come to the right place. 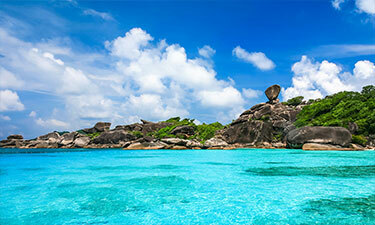 Your most memorable Similan Islands diving adventure starts here. PADI, also known as Professional Association of Diving Instructors, is the world’s largest training agency with more than 6000 affiliated dive centers around the globe. PADI has developed a reputation for having the best training material available on the market and the most sophisticated instructor training courses. Because of this, PADI has become world renowned and has achieved elite status in diving training. With our PADI courses, you can finally get your PADI or continue your adventure with one or more of the many continue education courses we offer a board our fleet. Khao Lak Scuba Adventures is proud to offer some of the best PADI Thailand training in the country, and we look forward to help you learn this unique skill that will open up a world of possibilities and under water experiences for you.